Elvis Body Exhumed Where is Elvis Presley really buried? Elvis Body Exhumed. Where is Elvis Presley really buried? Forty years after the untimely death, August 16, 1977 the secrets surrounding Elvis’ grave site is still to be laid to rest. 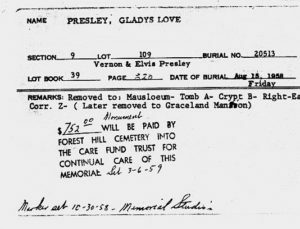 Originally Elvis was buried in Forest Hill Cemetery In Memphis. 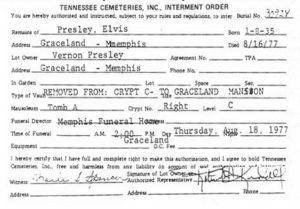 Later Elvis Presley’s coffin was exhumed and brought to Graceland by Vernon Presley, Elvis’ father. 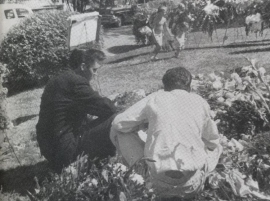 There were two reasons for exhuming Elvis’ body and relocate it to the Meditation Garden at Graceland. 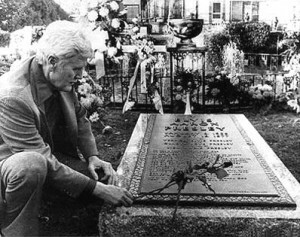 One night Vernon Presley got a call to say that they are about to rob Elvis Presley’s Cript at Forest Hill Cemetery.